Save your coin for the goods, not the shipping. You can drop $50 on a dress and not blink, but spending $6.75 for shipping? It burns. Spring is a site that’ll soothe that burn like sweet, sweet aloe. You’ll find hunnnnnndreds of cool brands at Spring — Herbivore Botanicals! ban.do! Puma! — and while you *could* just shop from the brand’s own sites, why would you want to when Spring offers free shipping (and free returns)? 1. These limited-edition makeup brushes the magical unicorn mermaid in your life will adore. Get them for $39 and see everything else from Tarte here. 2. An airy box-cut tee for keeping your cool and rolling up your sleeves. Get it for $20 and see everything else from Everlane here. 3. A set of Harry Potter tomes any Ravenclaw would be proud to own. Get them for $275 and see everything else from Juniper Books here. 4. This friendly shark toddler sleep set that's as scary as the threat of bedtime. Get it for $14 and see everything else from Joe Fresh here. 5. This lip-polishing treatment for upping your 'gram ante. Get it for $18 and see everything else from Herbivore Botanicals here. 6. This watermelon cooler bag that'll pay for itself in beach days, picnics, road trips, and more! Get it for $32 and see everything else from ban.do here. 7. Some bejeweled mules so snazzy they look like they cost a million bucks. Get them for $80 and see everything else from Aldo here. 8. A perfectly worn-in tee that'll end up in your regular outfit rotation. Get it for $32 and see everything from Buck Mason here. 9. This kitschy phone case so people won't question your priorities. Get it for $40 and see everything else from Casetify here. 10. A gentle sonic facial massager to help your before-bed skin treatments really get in there. Get it for $35 and see everything else from Clinique here. 11. An adorable kid's one-piece swimsuit we wish came in adult sizes, too. Get it for $24.95 and see everything else from Gymboree here. 12. These understated perforated-pattern sneakers you can wear with everything. Get them for $75 and see everything else from Frank+Oak here. 13. A fancy-schmancy egg cup as motivation to wake up and eat a nutritious breakfast. Get it for $42 and see everything else from Alessi here. 14. This crazy effective under-eye concealer that'll disguise the effects of late-night shenanigans. Get it for $26 and see everything else from Benefit Cosmetics here. 15. A bright zebra-print bath mat to encourage kids to stand and drip before tracking wet footprints everywhere. Get it for $65.99 (down from $110) and see everything else from Jonathan Adler here. 16. Some cult beauty drying lotion for spot treating pimples. Get it for $17 and see everything else from Mario Badescu here. 17. A plush alligator your kids can wrestle with instead of each other. Get it for $100 and see everything else from Melissa & Doug here. 18. This pendant necklace that looks all ~mysterious~ without requiring a scary bodyguard. Get it for $80 and see everything else from Kenneth Jay Lane here. 19. Some quarters board shorts that let everyone know you're always down to play. Get them for $27.99 (down from $44.95) and see everything from O'Neill here. 20. A sushi cap with your first lunch suggestion front and center. Get it for $40 and see everything else from Opening Ceremony here. 21. An iridescent bomber jacket that'll make you wonder what the hell you wore before athleisure was a "thing." Get it for $90 and see everything else from Puma here. 22. A ~versatile~ tie-dye dress you can wear on the beach or in the streets. Get it for $45 and see everything else from Volcom here. 23. Some summer-ready TOMS covered in a print nearly as delicious as IRL ice cream. Get them for $55 and see everything from TOMS here. 24. A whale of a tee perf for catch-up seshes with the bros.
Get it for $42 and see everything from Vineyard Vines here. 25. A 3-in-1 avocado slicer for tearing into your favorite healthy snack — without risking life or limb. Get it for $10.99 and see everything else from OXO here. 26. Some athletic shorts that wick away sweat and protect your skin from the sun. Get them for $34.99 and see everything else from Under Armour here. 27. These flat sandals so chic you'll have to fend off an avalanche of compliments. 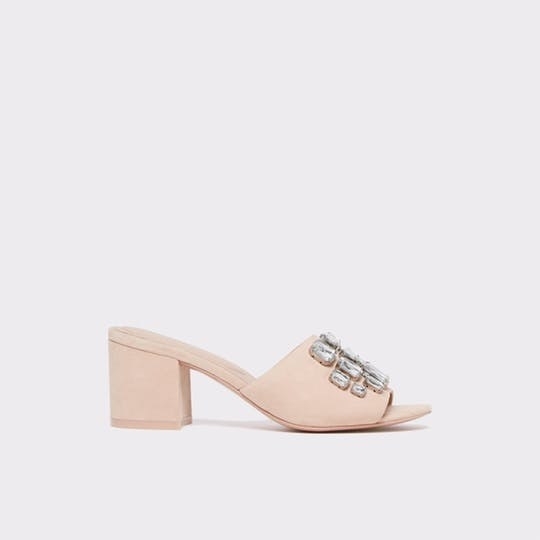 Get them for $350 and see everything else from Tory Burch here. 28. This pretty romper that'll become your new weekend go-to. Get it for $69 and see everything else from Urban Outfitters here. 29. And a cactus pillow made for soft snuggles. Get it for $19 and see everything else from The Land of Nod here.